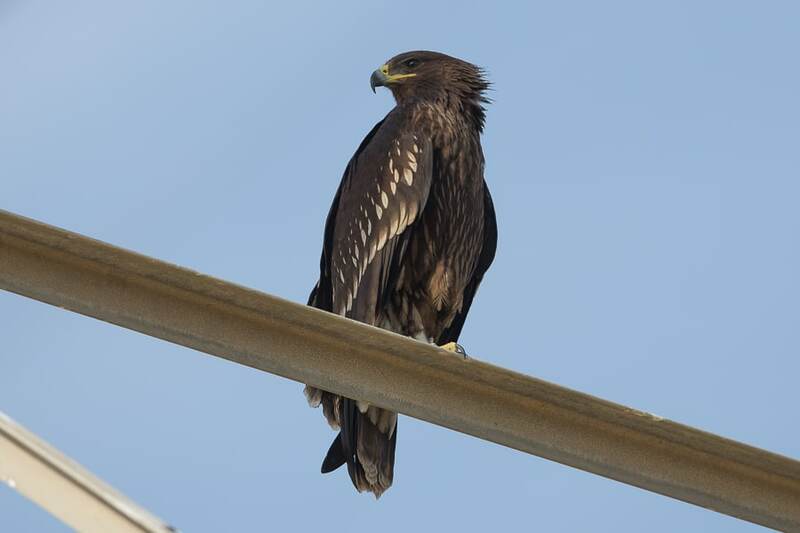 Phil Roberts and I went to Deffi Park on 20 January to see if we could find any displaced birds. Weather to the north of us has been very severe with lots of snow and we were hoping the cold weather may have moved birds south. Deffi Park is a large urban park in Jubail and holds goods birds most winters. 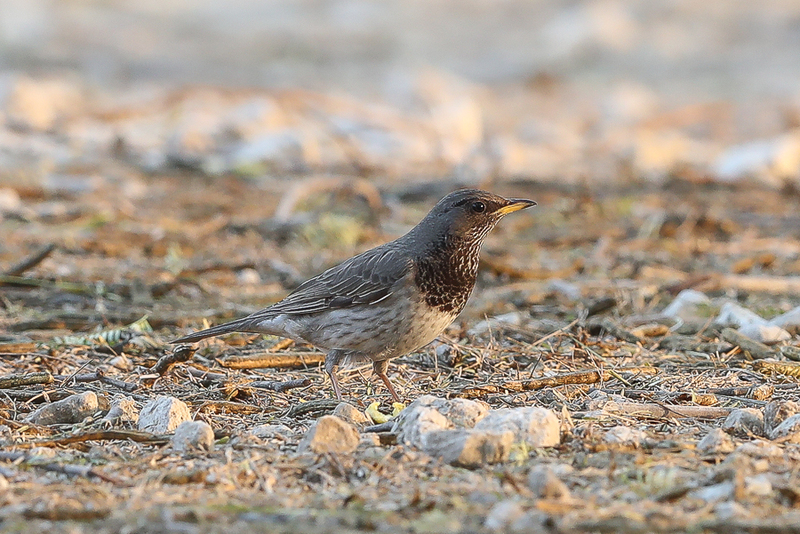 We have never seen a thrush in the park although have discussed finding Black-throated Thrush here on a number of occasions so when we found a large flock of Song Thrushes we were not surprised to find four Black-throated Thrushes amongst them. The birds appeared to be one adult male and three 1st year males and were not easy to photograph as they kept in the shade of the tall trees and were easily disturbed by walkers and runners. 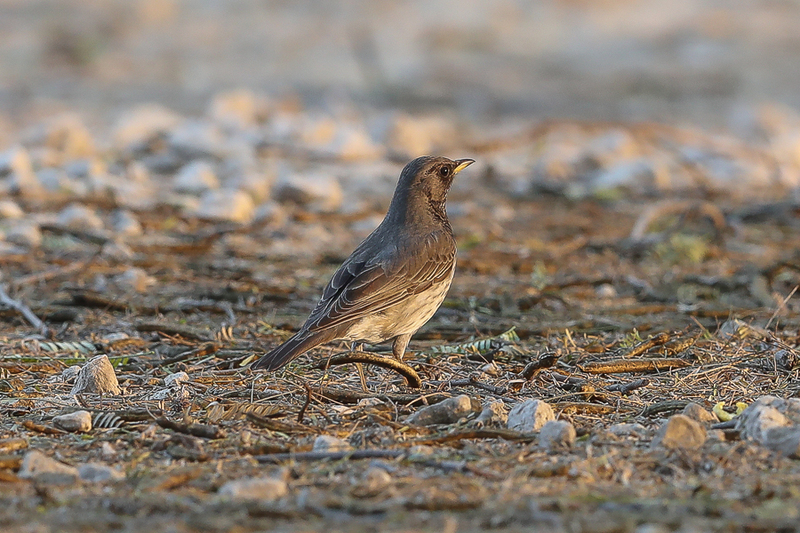 This species was a new bird for Saudi Arabia for both Phil and I so we were very happy with our find made even better by seeing four birds. 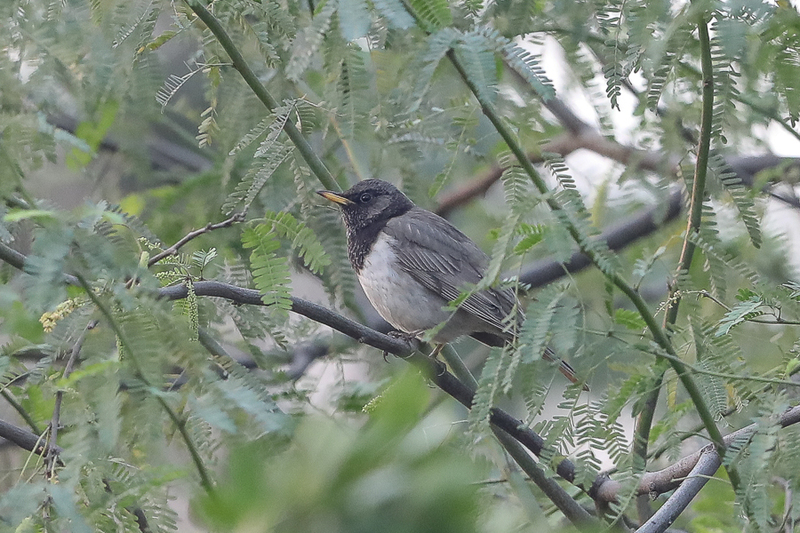 The Black-throated Thrush has become much scarcer in recent years with no records I know of in the last twenty years in the Eastern Province although this may be due to lack or birders. 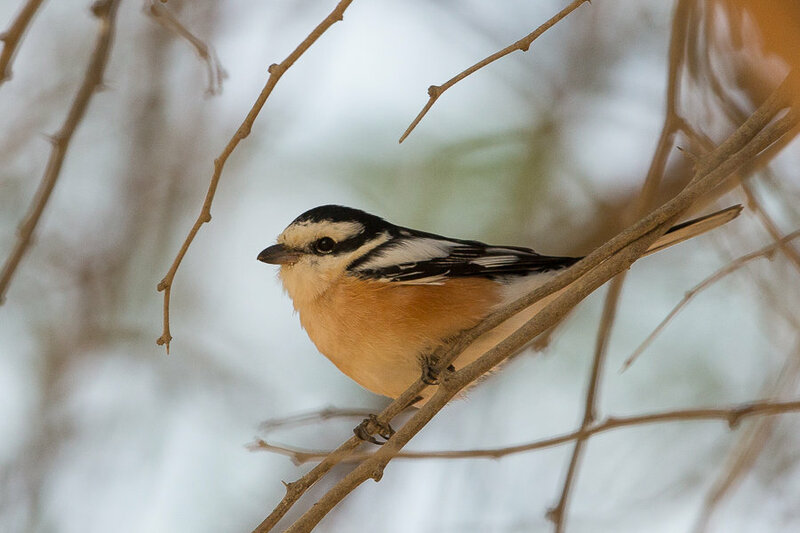 Prior to this Bundy mentioned in his book Birds of the Eastern Province “Usually a scarce winter visitor from November to March, but numbers vary from year to year and in some winters it is not recorded at all. 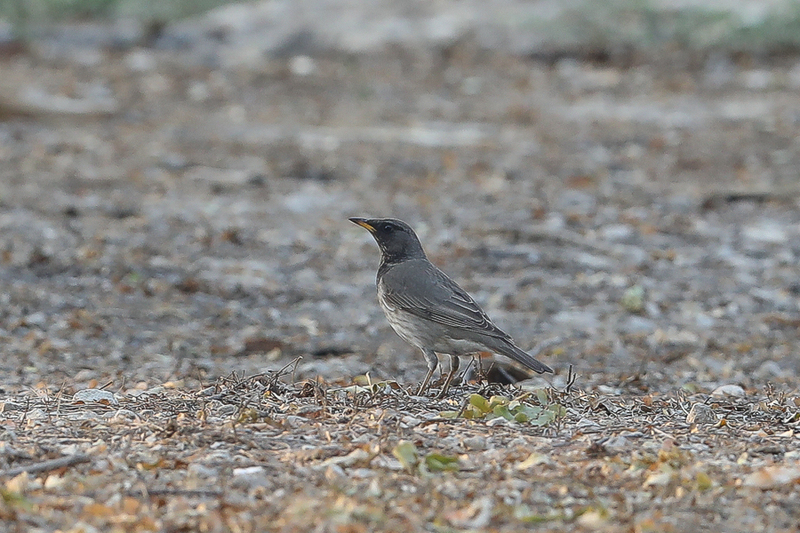 In years when numbers are good, such as 1982-3, birds have been noted at oases and cultivated areas from the coast to Haradh and Hanidh. 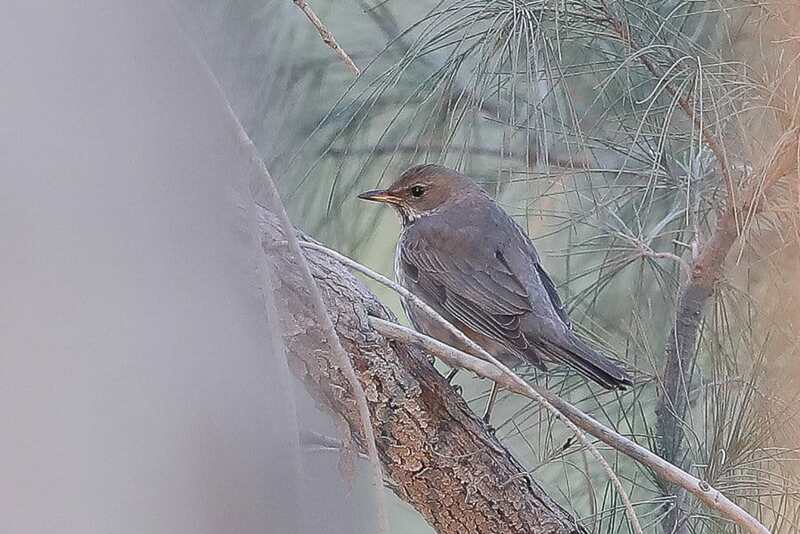 Single birds in Dhahran in April and May were possibly migrants”. It is now a rare winter visitor. 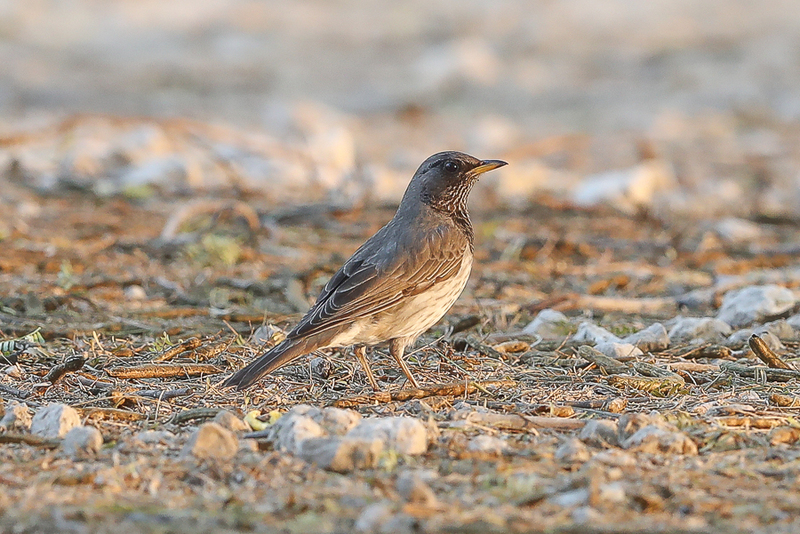 It appears to have been a good year for the species with birds also being seen in Kuwait, Oman, Bahrain and Qatar.